I am a bit late to the pulled pork party, as I tend to be with most foodie trends. Food trends are funny things. Someone comes up with something wonderful, people love it, more people love it, people blog about it, newspapers write about it and then suddenly this saturation point is reached and the tide turns. Suddenly its too readily availble, too many people like it, its suddenly uncool, so last year... Then a new trend takes over, is heralded as the new "insert last trend" and the whole cycle starts again. Examples of this; cupcakes, cronuts, pulled pork. Although just because they are no longer the latest thing, doesn't make them any less delicious! And anyway, much like the latest fashion trends, ain't nobody got time for that! So that was a rather long winded way of saying I MADE PULLED PORK! After all this research I was no further forward in deciding on the best method so I decided to simply follow the recipe of a blogger who knows her stuff. Anna from The grazer; a local North-east food blogger and supperclub organiser. Although I have yet to attend one of her fabulous supperclubs, its totally on my bucket list. Her pulled pork recipe was delightfully simple, yet looked super tasty. The recipe had a dry rub made up of mustard powder, brown sugar, smoked paprika and salt & pepper. There was no sweet or sticky sauce to this recipe which appealed. The meats own juices provided all the flavour and why would you need to cover these up with anything? I cooked my 2kg shoulder of pork for 7 hours rather than the 9 Anna recommended. Mainly due to impatience and concern for my little oven which started to howl after 6.5 hours. After a 30 minute rest wrapped in tin foil the charred meat just fell apart with a mere look! I pulled back the extra crispy crackling on top and went at it with a couple of forks. I shredded the whole thing in about 10 minutes flat. We opted for Pulled Pork sandwiches when it was still a bit warm. We got fresh white fluffy stotties (awesome Geordie bread buns) and piled them high with pork, spooning some of the juices over the top, and scoffed them straight away. The flavour was incredible, the meat was tender and soft. I had a couple of dill pickles and a beer with mine, and watched Olympus Has Fallen. Gerard Butler, what a fox. It was the best of days. The leftover pulled pork was used in both a baked pasta dish and homemade pulled pork pizzas. We added a little heat and some roasted red peppers to the pizzas and they were perfection! So in conclusion, trends are weird, eat pulled pork. I think we should invent some foodie trends for 2014, I am open to suggestions. 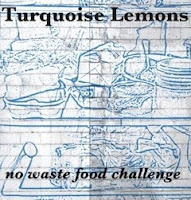 I have entered this post into the No Waste Food Challenge hosted this month by Elizabeth's Kitchen Diary as it served us for three-four decent meals! No an ounce was wasted. I made my first pulled pork last week too! It was also the first time I'd cooked pork, que frantic texts to my closest pig loving friends. I did maple mustard cure - dreamy. Mmmm maple sounds heavenly! I cook roast pork a fair bit as its Paul's favourite. I've never made pulled pork at home but it sounds like I totally need to get on that. There aren't many things in life better than a pulled pork sandwich. I am not sure I would make it regularly, it is lovely but 7 hours with the oven going was a lot. I wonder if slow cooker pulled pork would be as nice? hhmmmm well as a 'veggie' this would be a bit challenging for me - but am getting images of baked tofu done in similar fashion... Would definitely have to include a sticky soy sauce marinade though and it would surely save the oven by at least ---- oh --- 6 hours! !...could this be the 2014 trender?? Not sure the tofu will catch on. I would give it a go though! I love gherkins! Cannot get enough. Fab post Nelly and great looking pulled pork. I have never tried it but have bookmarked the recipe. Thanks for the recipe on pulled pork - I've been meaning to do it now I have my slow cooker - can't wait! I've had it in a few 'pop-ups' and restaurants but now it's time to tackle it at home... Hmmm foodie trends... I'd like to see more beef ribs about! Had some killer ones at the weekend and London is lacking a good ribman! Looks lovely! I made pulled pork twice, I think, and then resigned myself into thinking it was far too much work! All that marinading, rubbing, roasting...! 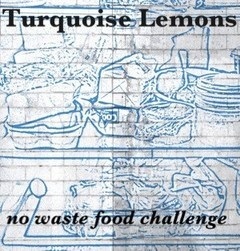 Yours looks lovely though and thank you for sharing with the No Waste Food Challenge! 3/4 meals is impressive!